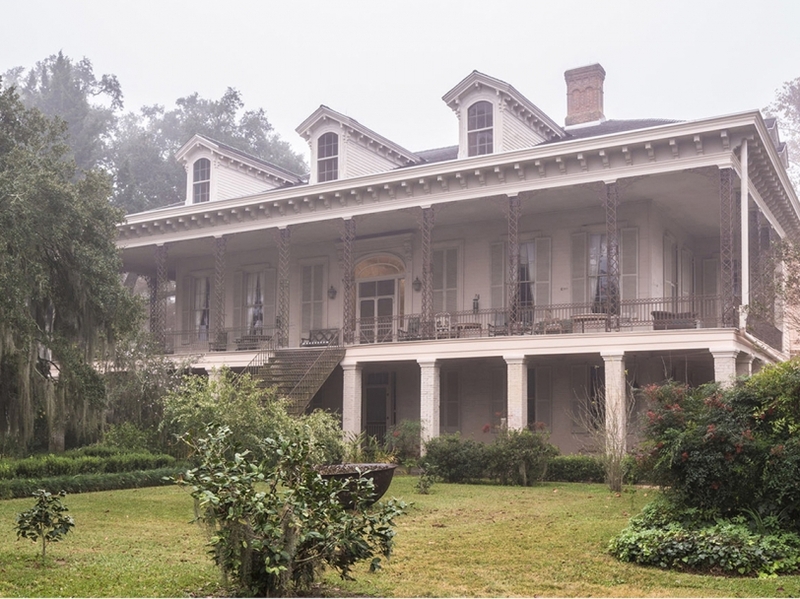 This former 10,000 sugarcane plantation mansion on Bayou Lafourche, is a National Historic Landmark. 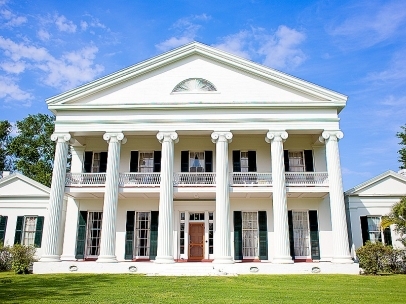 Architecturally significant as the first major work of Henry Howard, Madewood is one of the finest Greek Revival mansions in the American South. Each doorway is signed by the artist, Cornealieus Hennessey. Slonem has accented the rooms with gold-framed mirrors, swooping furniture and modern works of art. Direct links to its past can be found in subtle ways: the name of Matilda Grevemburg, Charles’s long-deceased daughter, can be found scratched into one of the windows. 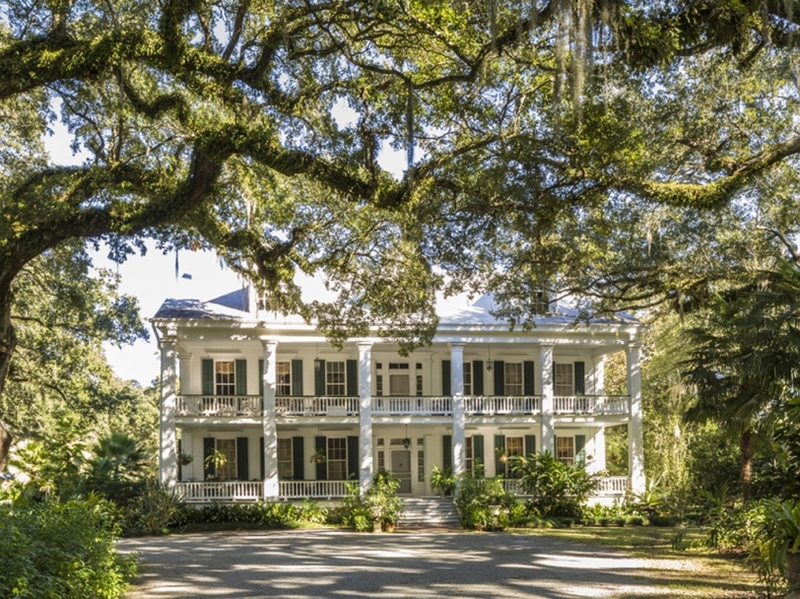 Built upon land once given to the Marquis de Lafayette from a grateful Thomas Jefferson during the Louisiana Purchase, Lakeside Plantation’s distinctions are myriad. Beyond its famously pink-painted exterior, there is a unique wrought-iron balcony, imported from Paris in the early 19th century; an elaborate series of gardens; and a ground-floor room with deep red walls and matching velvet sofas. 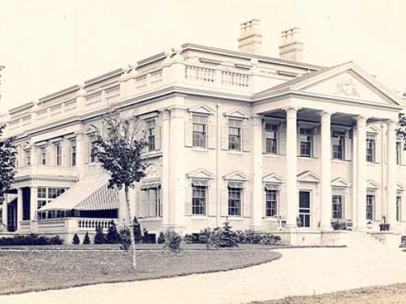 A looming 19th-century titan, was the first historic property Slonem purchased, in 2001. Built by a German merchant from Prussia, this Second Empire gem sits perched atop a hill overlooking the Hudson River, with a palpable history that Slonem says stunned him when he first set foot on the property. The original gazebo and carriage house remained intact, while the four-story tower stood out as a distinguished centrepiece. Slonem has worked hard to maintain the classical atmosphere of Cordt’s Mansion: he has refurbished the amenities; repainted its walls with brilliant reds, yellows and greens; wallpapered rooms in his own designs; installed new chandeliers; and hung photos of the Cordt family, whose presence still lingers through the halls. 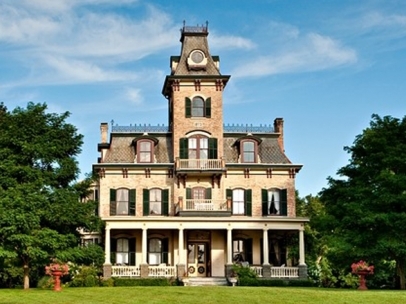 The sprawling Belle Terre estate was first built as a summer home by copper baron James McLean. The estate embraces well beyond 30,000 square feet of quiet wilderness by the Catskills Mountains, complete with a private lake and rolling hills—ideal for fox hunting, which is what McLean had in mind when building it. 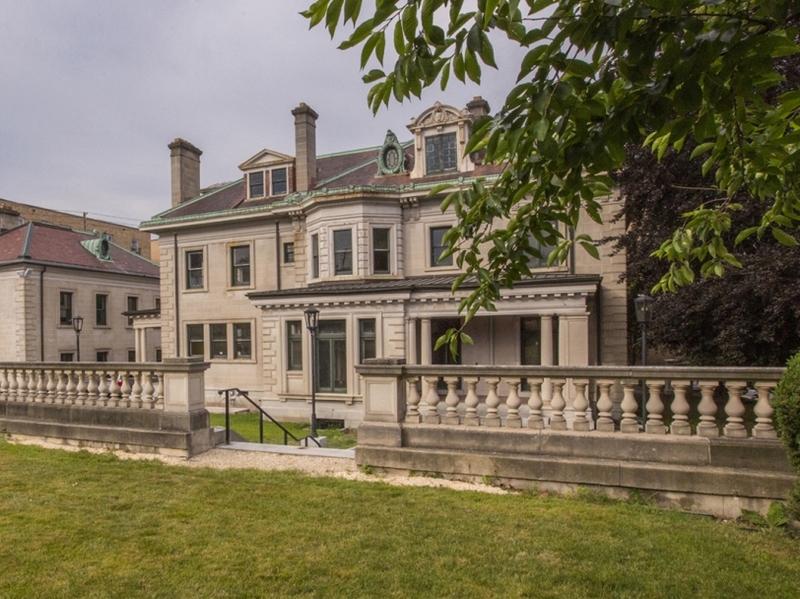 Eleanor Roosevelt, a frequent guest and friend of McLean’s daughter, once hosted a party on this site for 6,000 guests—an event that inspired Slonem to paint and hang several portraits of the former first lady around the property. The house’s Georgian architectural style marked a new direction in Slonem’s acquisitions, and his ongoing design emphasizes its original moldings and carvings while recapturing the elegant guilded age, selecting appropriate furniture to recreate the mood of its origins. This magnificent Beaux Arts home, built by the department-store entrepreneur Charles Sumner Woolworth, looms large like a diamond in its neighbourhood. But while its stately limestone exterior and a three-story carriage house mesmerized Slonem upon first sight, this reclamation project would turn out to be his longest, toughest yet—and also the most rewarding. He has put in the driveway, recreated a missing wrought-iron balcony, ordered specially crafted moldings and wood carvings, and handpicked the classical light fixtures. Slonem’s meticulousness recalls the expert craftsmanship that went into creating this majestic beauty more than a century ago. When Slonem first heard about the Scranton Armory, he was not thinking of adding it to his collection—it was a largely vacant space he rented in between moving studios in New York. But when he stepped inside this massive Romanesque Revival structure, he found an opportunity to preserve a crucial piece of American history: five presidents have stood at the armory’s drill hall, delivering campaign speeches to local voters. 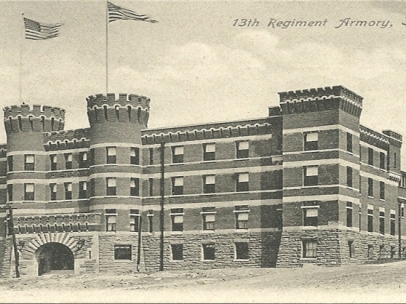 The property is equipped with a unique series of underground tunnels and original swimming pool, and Slonem has since furnished the armory’s plentiful rooms with period furniture, new artworks and refurbished chandeliers.